Parade, Free swimming at the city pool, food vendors, music and fireworks! 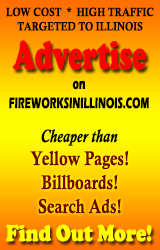 Donations to the fireworks fund may be delivered or mailed to the City of Mount Carmel; 219 North Market St. Mount Carmel, IL 62863. Please mark as “fireworks”. The stadium fills fast and parking is difficult; you may have to park a few blocks away and walk.